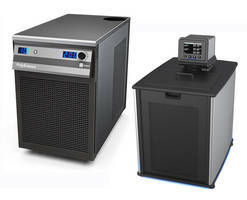 Niles, IL – A family of portable recirculating chillers that provide fast and reliable cooling for injection molding equipment is available from PolyScience. DuraChill™ 2 to 3 HP Chillers are suitable for process temperatures from 5° to 35°C (41° to 95°F) and are capable of providing up to 37,292 BTUs of heat removal at 20°C (68°F) with ±0.5°C (±0.9°F) temperature stability. 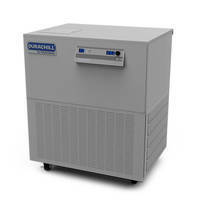 Higher capacity chillers (5 to 10 HP) are also available. Designed especially for high capacity cooling applications, DuraChill Chillers are available in both air- and water-cooled models. Standard features on 2 and 3 HP models include dual digital displays that present temperature and pressure/flow rate simultaneously as well as user-adjustable temperature, pressure and flow rate alarms. Also standard is a ¾ HP centrifugal pump capable of delivering up to 7 gallons/minute at 25 PSI. Other pump types and sizes, as well as many other factory installed options, are also available. 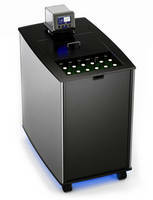 For more information, visit http://www.polyscience.com/en/category-chillers-coolers.php#!/category21-tab84, call 1-800-229-7569 (outside the US call 847-647-0611), or email sales@polyscience.com.